| New York, NY - January 17, 2018 | The new year brings a new member to our family; we are pleased to now represent BLACKBARN Restaurant in Nomad as well as the Chelsea Market shop, cafe & bar. 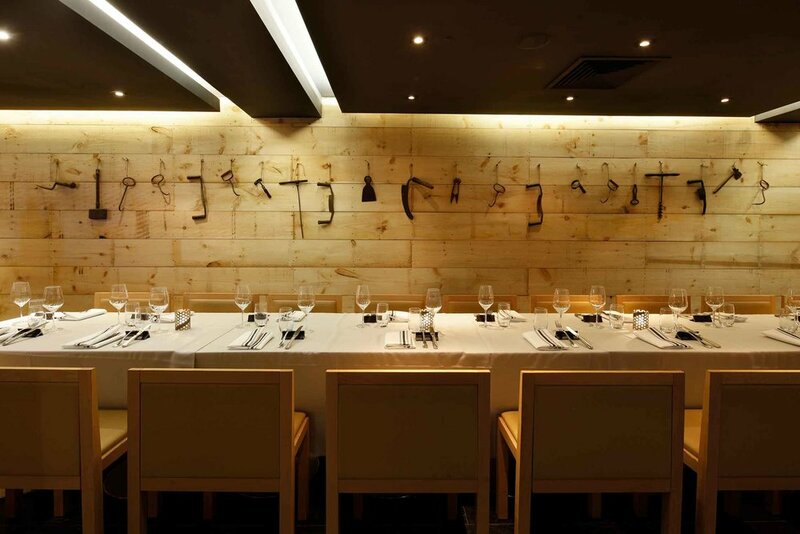 Owned and operated by James Beard Award-winning Chef John Doherty, the restaurant has a rustic barn-inspired setting by designer Mark Zeff with a grand, yet understated sophistication that complements the upscale, farm-to-table menu. Chef Doherty opened BLACKBARN after 30 years of experience in the iconic Waldorf Astoria kitchen, 23 of which he spent as executive chef during one of the fabled institution’s most glamorous eras. One of the limited few to have prepared a meal for six world leaders at the same time (a dinner for the 40th anniversary of the United Nations with Ronald Reagan, Margaret Thatcher, Helmut Kohl, Martin Brian Mulroney, Bettino Craxi and Yasuhiro Nakasone), he is well acquainted with the world of fine dining; however, Chef Doherty wanted to try his hand at a new type of experience when venturing out on his own. While spending a weekend at his friend, designer Mark Zeff’s, polished, minimalist cabin in East Hampton, he found the aesthetic to match his vision for a restaurant, and opened it under the same name. Together, the two created a restaurant that is familiar but new, where hints of luxury are woven into the warm interior, allowing people to truly feel at home. A mainstay in the brand’s ethos, “Comfort is the new luxury,” was perhaps a challenge to accomplish in the massive 14,000 square foot space. Doherty nabbed it with a vision to tackle its sheer size by dividing the restaurant into the lower-key Tavern, a main dining room, and 4 private event spaces named the Cabin, the Shed, the Cellar and the Loft. Chef Doherty’s emphasis on a fully authentic experience is evident in his attention to detail; from the relaxed atmosphere created by raw materials like metal, wood, leather and concrete to the 100% cotton napkins, he ensures that every part of the restaurant’s design enhances the dining experience. During his tenure at the Waldorf, Chef Doherty had 7 Chefs, 13 Sous Chefs and 130 cooks working under him at a given time; his ability to build and inspire a talented team is therefore not surprising. Chosen for his knowledge and appreciation of quality ingredients, Doherty’s Executive Chef, Matteo Bergamini, helms this tight-knit crew. Bergamini was born and raised in Northern Italy, and has worked in Italian eateries as well as the kitchens of Chef Daniel Boulud. From his upbringing and experience with French cuisine, he learned to keep flavor profiles clean without using excess ingredients, so that the BLACKBARN menu remains sophisticated and straightforward. By visiting the Union Square Farmers Market each week and even importing and sourcing his own produce to use in the restaurant, Matteo ensures fresh and delicious foods breathe extra life into all of his dishes. Whether making something hardy or light, traditional or new, his 20 years of experience in the industry shine through his impeccable choices and execution. 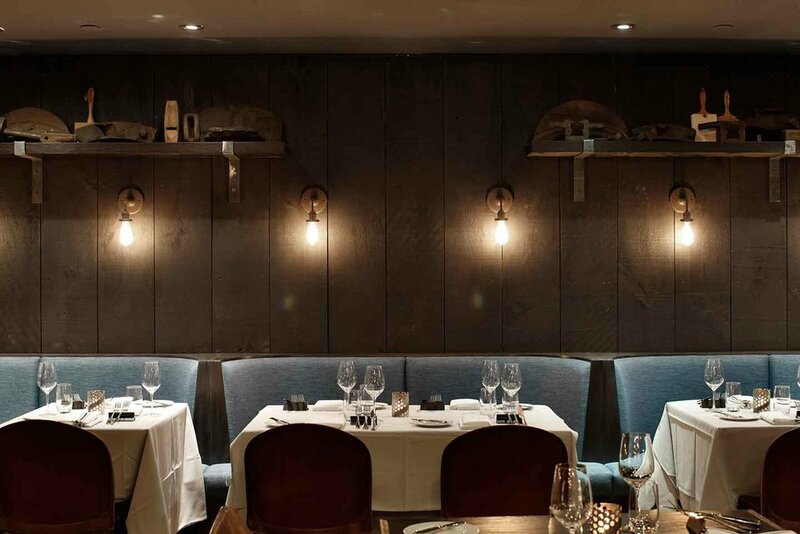 Like the menu, the wine list is an eclectic mixture of quality picks that fall in line with Doherty’s main directive; that is, as he says, “to provide wines that change the conversation regardless of price point”. Curated with the help of Wine Director, Andrija Tadejevic, the list brings unique finds from the world’s best regions. Tadejevic was born and raised in Croatia in a 1700-year-old city founded by the Roman Emperor, Diocletian. He has been a globetrotter since, having visited 88 different countries throughout his life. He utilizes this passion for travel and discovery in the wine program at Black Barn, offering several lesser known international options. BLACKBARN has a large kitchen to match its dining space, allowing it to support a fresh, in-house supply of desserts and pastries by Pâtissier Chef Anwuli Obidi, along with in-house bread by Candelario Cruz, chocolates by Ada Azarya, pastas, and more. Chef Doherty keeps BLACKBARN’s offerings fresh with a menu that changes monthly, and a Chef’s Table dinner every Saturday that provides a unique and personal dining experience unlike any other. The menu and wine pairings are specially curated by the chef, with the long tables overseeing the exposed kitchen as he prepares the meal. A portion of all proceeds from these dinners go towards Chef Doherty’s Heavenly Harvest Foundation, a charity that creates nutritious and quality meals for those in need. Chef Doherty and designer Mark Zeff have now paired up again to fuse their food and retail endeavors into a revolutionary lifestyle environment; their BLACKBARN shop, café, and bar opened in Chelsea Market at the end of 2017. BLACKBARN Chelsea Market provides beautiful homegoods from around the world complemented by Chef Doherty’s dishes and drinks in the café and bar. Design melds into dining in a curated experience that can be brought home, all items in the café available for purchase in the adjacent shop.